Verwood System after year 1. On the 9th December 2013 we installed this 4kW Phono all black solar PV system with the market leading Enphase M215 micro inverters for Mr and Mrs B of Verwood, Dorset. We predicted it would do 3890 hours a year, but after exactly one year it has done 4082 hours which is 105%. Its best day was June the 17th when it did over 27 kilowatts. This system provides a return on investment for this customer of over 12.6% annually. 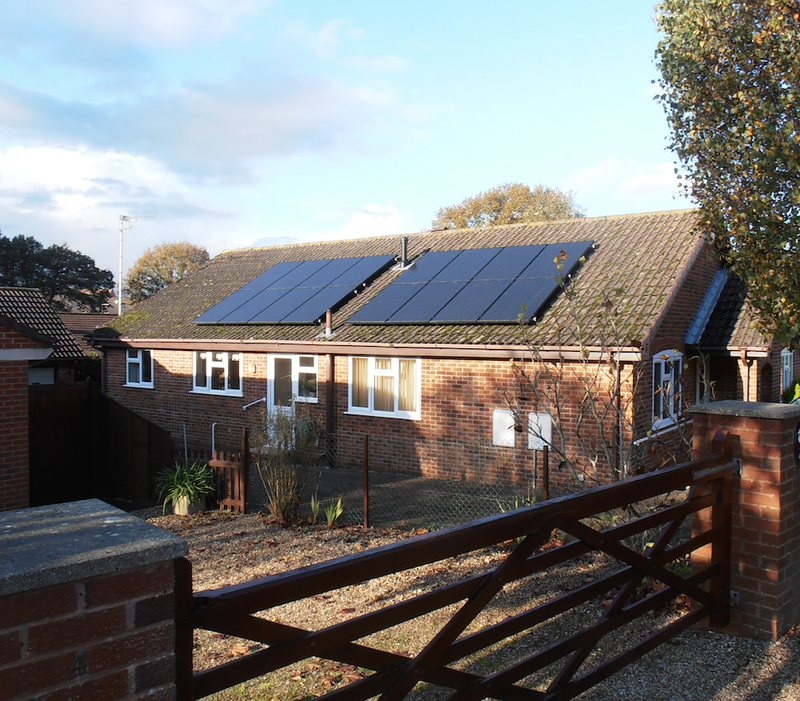 The feed in tariff is index linked and tax free and guaranteed for twenty years. All the equipment is guaranteed for twenty five years. The total return on this investment will be well over £25,000.